Karen Boothe's New Book 'My Walk With My Sister' is a Deep Novel That Shares a Woman's Struggle With Mental Illness That Affected Her Family. 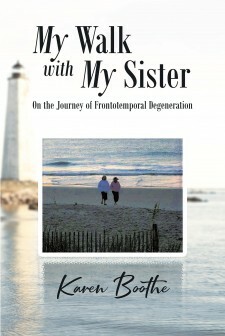 Recent release "My Walk With My Sister" from Covenant Books author Karen Boothe is an evoking read that tells of a woman's toils against degenerative mental disease and how this profoundly shaped her family's compassion toward her. VINTON, Va., February 11, 2019	(Newswire.com) - Karen Boothe, a loving wife, mother, and grandmother has completed her new book, “My Walk With My Sister”: a heart-touching account that shares a woman’s life of living with a rare brain disease and how this paved the way for her family to care for her. Karen shares, “Everyone has noticed changes in Brenda. She has become more demanding, caring less about her appearance, and not letting anyone come to her house—alienating friends. “Then the call comes from her employer. ‘Brenda didn’t show up for work today.’ Brenda has always received awards for never missing work. Her family had to break into her home when she didn’t answer the door. She was lying on the bed and acted as if nothing is wrong. What they discovered when they open the door was breathtaking. She has been hoarding, and her home was filthy. But that’s not the only discovery. “Brenda was diagnosed at age fifty-six with a rare brain disorder, Frontotemporal Degeneration (FTD). This disease is so rare that it is hard to diagnose—hard to treat, hard to deal with, and hard to pronounce—even harder to accept. All cases of FTD present differently. Treatment is different for each patient, so no one can tell you what to expect. “Her sister becomes her primary caregiver. Along with help from family and friends, they walked the journey of frontotemporal degeneration together. Trial and error became the norm. They learned to love and accept the new Brenda, one who is childlike, loving, and happy. 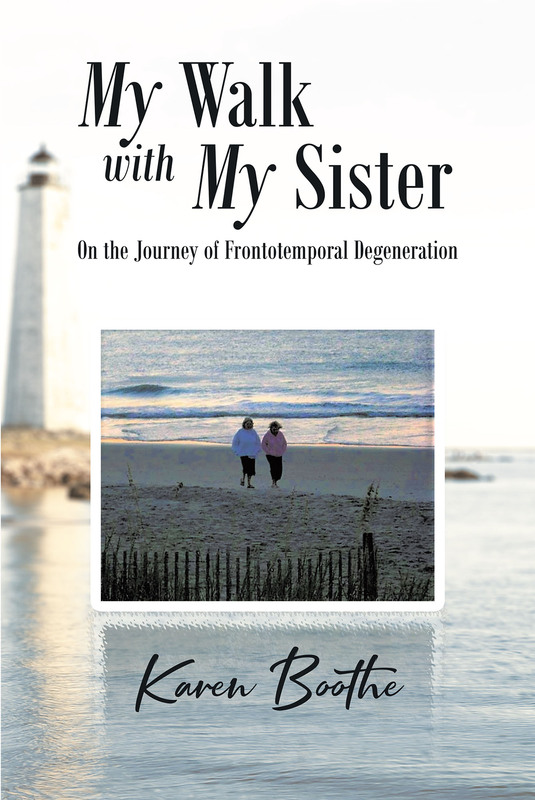 Published by Covenant Books of Murrells Inlet, South Carolina, Karen Boothe’s new book raises awareness on the nature of frontotemporal degeneration in the hopes of inspiring readers with the proper ways on how to treat and care for affected individuals. “My Walk With My Sister” contains virtues of love, patience, and understanding for individuals with this condition, as well as reminding readers of the importance of faith and spirituality in overcoming trials and tribulations. Readers can purchase “My Walk With My Sister” at bookstores everywhere, or online at the Apple iTunes store, Amazon, or Barnes and Noble. Recent release 'Gildor: The Forbidden Land' from Covenant Books author Arthur Woodring is a riveting narrative about a group of friends and their unexpected brush with death and beasts of unknown horrifying origins. Recent release "The Adventures of Chewy the Chihuahua and Her Sidekick Cupcake" from Covenant Books author Dr. Jay Smith is a narrative that tells of an extraordinary canine's amazing journey with her human friends and beloved sidekick. Recent release "Essentials and Almost Essentials of Christianity" from Covenant Books author Robin Wright is a defining narrative that tackles the significance of living a Christian life for people to practice.